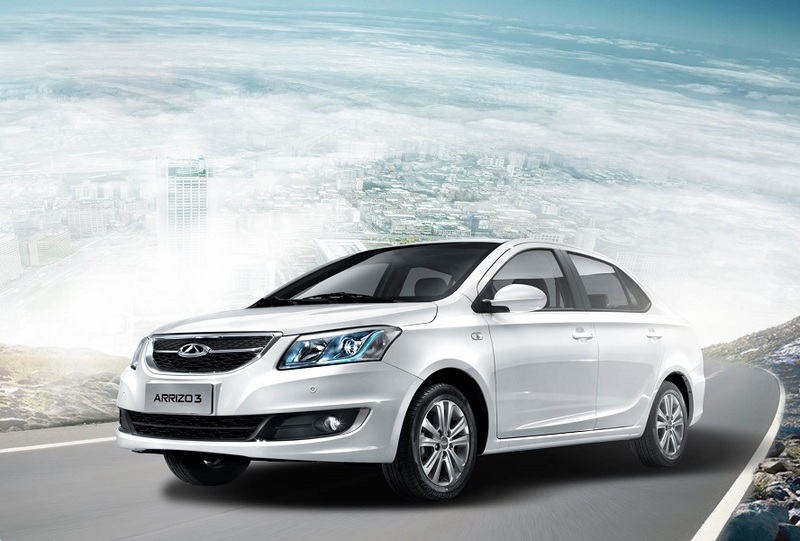 The application of light guide is rare among the A-segment cars with graceful and modern shape well merged with front face. The overall shape is calculated in detail according to speed and net weight of the car as the best interpretation of scientific design. 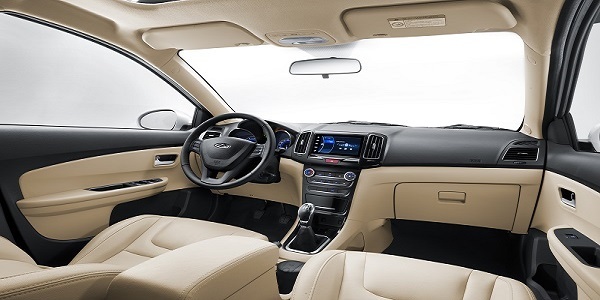 Wind resistance parameter is lowered through creation of turbulence to reduce fuel consumption, and increase car speed and stability of the car during its traveling as perfect combination of beauty and practicality. Arrizo 3 is prudent in whole shape, but the waist line shape increases dynamic elements with quite straight and clear lines. Center console panel adopts the bright surface material of black piano paint. Chrome-plated decorative bars are increased at the knobs, covers and other places to increase textual sense. The center console panel introduces the S-shape as traditional Chinese auspicious patterns. Favorable meaning is contained in grace and fashion. The pleasant ice-blue background light may avoid harass of the hurt sun as well as the trouble of visual fatigue due to long time driving. From the body to interior trim, and from the outside to the inside, Arrizo 3 always provides safe protection to your driving and effectively guarantee your driving safety. Many parts adopt high-strength steel plates. “Safe Cage” living space adopts high-strength steel plates for most of the car, accounting for 80% of the plates for the car. It effectively controls weight, ensures sufficient safe living space of the cockpit during collision to effectively protect the occupants. 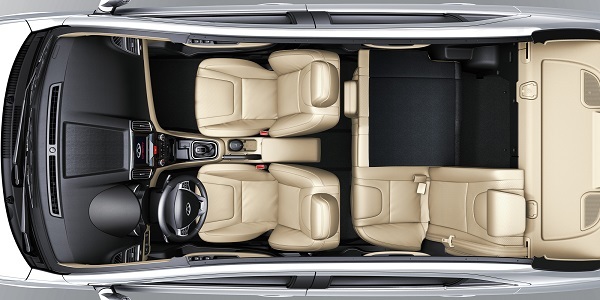 6/4 detachable rear seats to meet needs of multi-function loading. 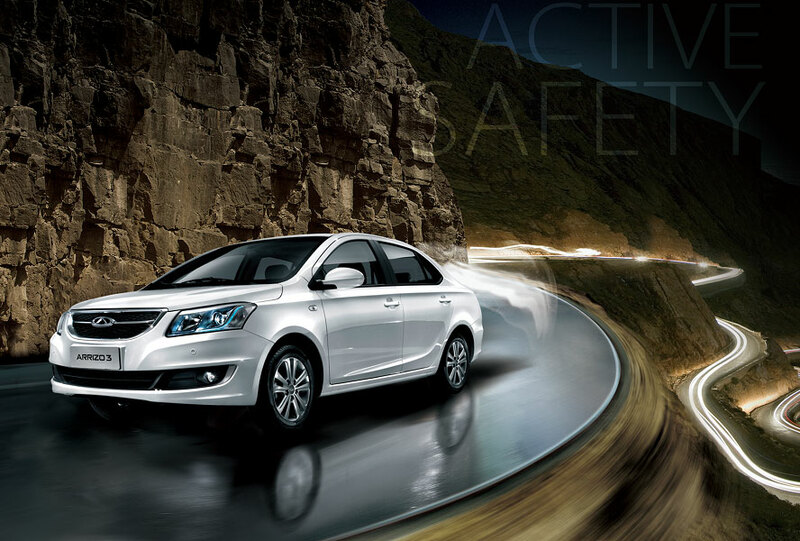 It adopts electrically-opened trunk design, useful and convenient for higher car class. It can effectively reduce the distraction of the headlights from the following cars against the drivers to provide convenience and safety to driving. 24 convenient humanized storage spaces in the car. Rich storage spaces provide convenience to the customers for belongings storage at will, and avoid embarrassment of no space for belongings.